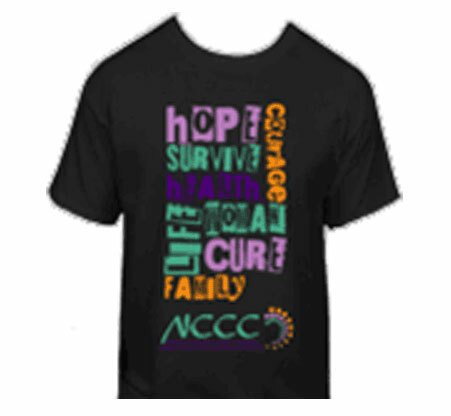 Show your support for the National Cervical Cancer Coalition and cervical cancer prevention with this bright and bold 100% cotton, Hanes Beefy Tee and its message of hope and strength. Available sizes include small, medium, large and X-large. Be sure to choose the appropriate size when ordering below. Price includes shipping. Show your support for the National Cervical Cancer Coalition and cervical cancer prevention with this bright and bold 100% cotton, Hanes Beefy Tee and its message of hope and strength. Available sizes include small, medium, large and X-large. Be sure to choose the appropriate size when ordering below.